It is easy to find such people who love what they do and do what they love the most. Such people are also the ones that like taking a risk with their careers to find that path of salvation in which they will find happiness. If you too are looking for that happiness that comes from work, and at the same time, if you are also passionate about driving, how about mixing the two of them in such a manner that you can make a career in driving professionally? That way, you too would find a way to love what you do and do what you love and in the process also earn lots of money too. If you like that idea, do not waste time anymore. Instead visit us at Dhoot Driving School in Morden, London. We are a reputed driving training institute and provide professional coaching on different driving training courses like the LGV/HGV training, PCV training and also the Driver CPC training apart from several other refresher training courses. There is always a shortage of skilled and good drivers and thus it can be quite a lucrative career change for you if you happen to opt for such a driving training course. Within a few weeks, you can become extremely knowledgeable and skilled driver ready to hit the road. When you join us at Dhoot Driving School in Morden, London, you can avail several benefits like the course materials are available in several different languages apart from English. The training materials, the class room coaching and also the theory books are available in different languages. Thus even if you are not very comfortable in English, you can always follow the driving training instructions in the language that you prefer. The trainers associated with us are also registered with the driving standards agency and they are also approved by them. The vehicles that we use for the purpose of training are also well equipped with the dual access controls and thus there is no chance for any kind of road mishaps or accidents while the process of training is on. Since driving a vehicle also entails you to follow the traffic rules strictly, it is essential to learn the theoretical aspects of driving. Keeping this in mind, we have designed our driving courses in such a manner that they are an effective combination of both the practical and the theoretical aspects of driving as a skill. LGV/HGV training: This training is meant for the large and the heavy goods vehicle. Some of the categories in this training section include the C1 ­+ E – license (For use if driving any goods vehicle that is above 3.5t and below 7.5t in weight. ), C1 + E – 7.5t + trailer (but gives you the capacity to tow a trailer behind your C1 vehicle), C up to 32 tons, C + E truck and trailer (Any vehicle over 7.5t that has a detachable or separate trailer). PCV training: This training is meant for the passenger carrying vehicles only and depends on the number of passengers on board of the vehicle. Some of the categories in this training section include the D1, D, D+E, D1+E, D1 Minibus, D1+E Minibus & Trailer, D Automatic Bus, D Manual Coach. Amongst these categories, the D1 minibus and the D automatic bus are two such categories that are meant for the manually driven vehicles only. Driver CPC training: This training is now considered as a mandatory training program for all the LGV/HGV drivers. This rule has come into effect from 2009. This training is meant for testing the professional competency of the drivers and needs you to undergo training for a period of 35 hours within every 5 years. In this regard, you have to appear for the driver CPC theory tests and you can get help from the different driver CPC modules. There are also the driver CPC case studies that can be of good help. 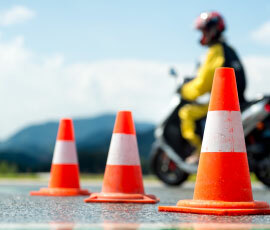 For the initial qualification, you have to pass the driver CPC modules 4 and 2. When you enroll with us at Dhoot Driving School in Morden, London, you can also avail certain specialized services like the pass protection and the PCV pass protection. 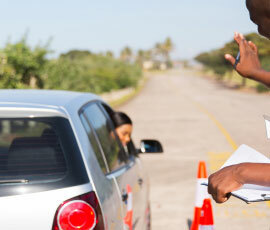 These services are such that you can reappear for the driving test in case you fail to pass the test at one attempt. We also offer money refund for you in case you are not satisfied with the training program with us. There are several different services and offers in place at Dhoot Driving School in Morden, London. If you want to know more about them and are interested in joining us for a course in professional driving, visit us any time soon for more information.